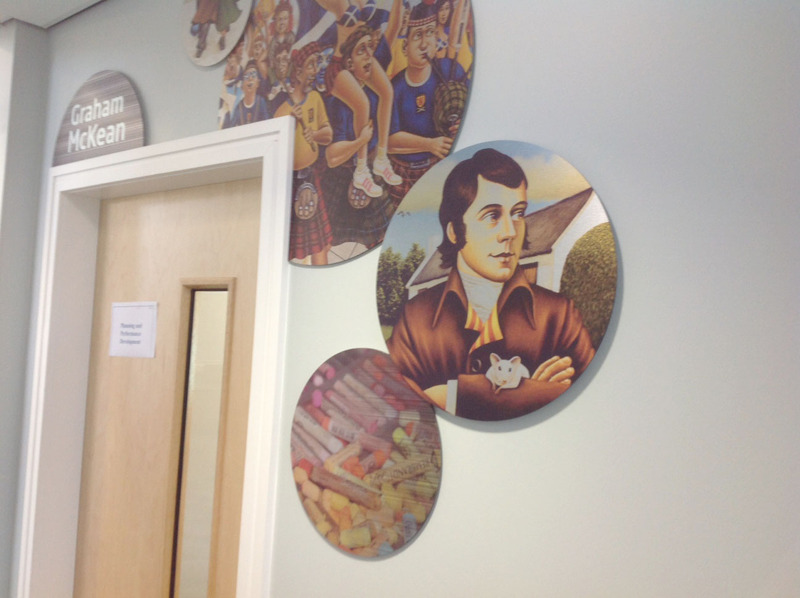 All the secondary schools in the region were approached to nominate a famous Scot via debates and presentations. 6274 then spent time in each of the seven schools, brain storming and workshopping with the pupils to turn the names into visual concepts. 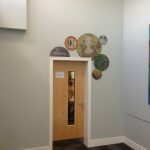 The end result was a series of innovative signs surrounding the various doors, printed directly onto cut pieces of brushed metal. 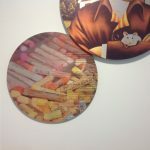 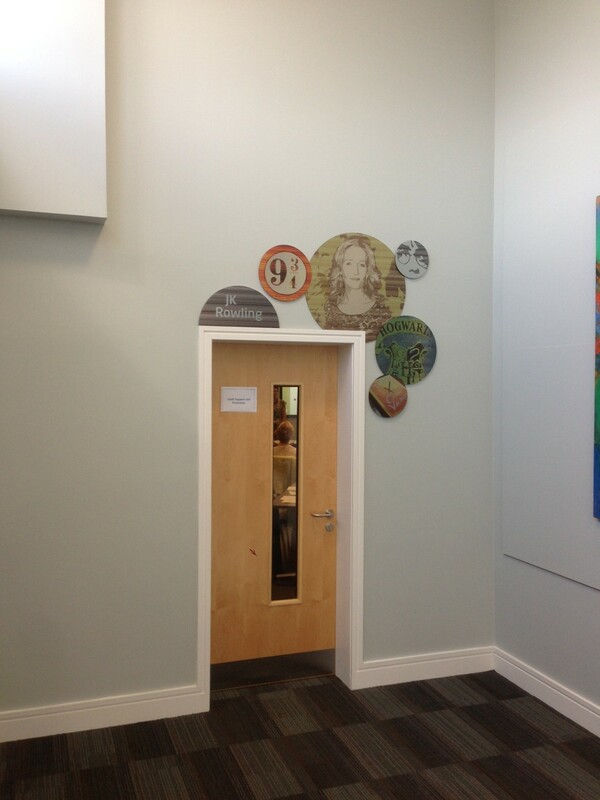 This created an effect in keeping with the decor and colour palette of the centre. 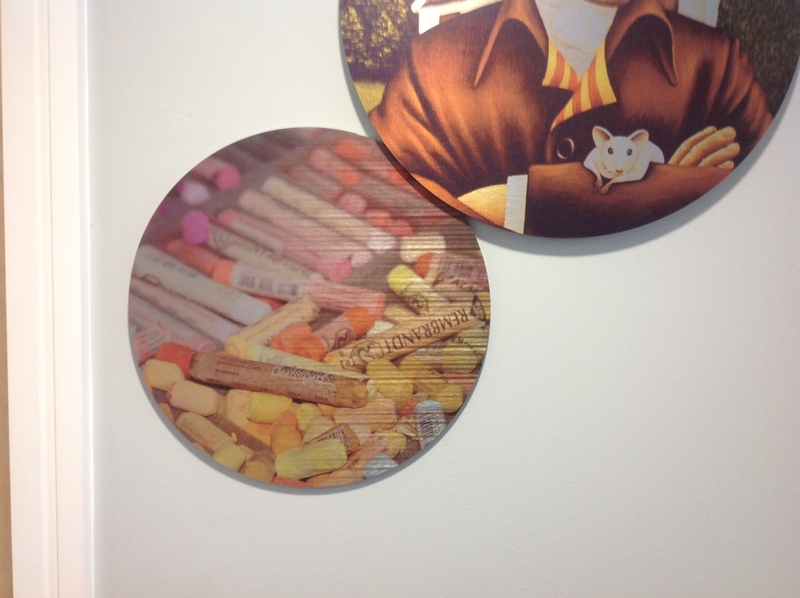 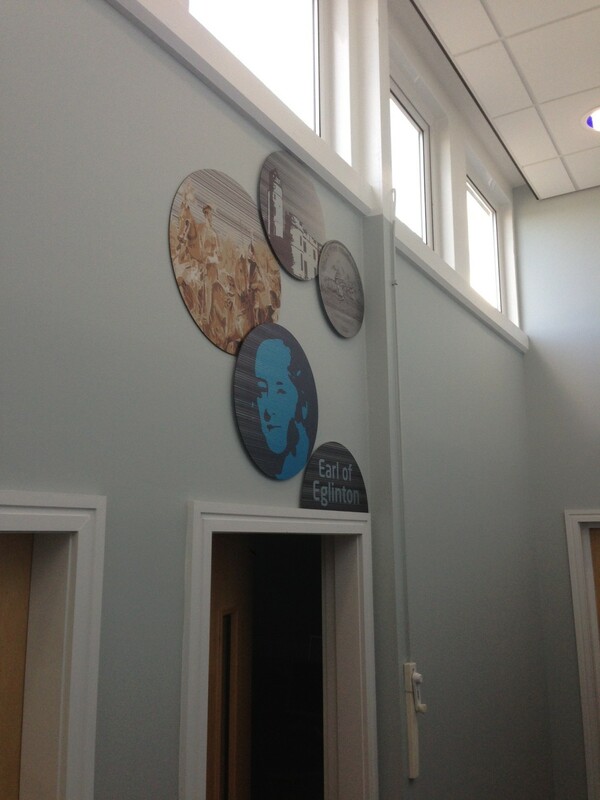 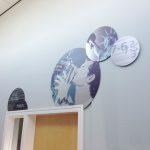 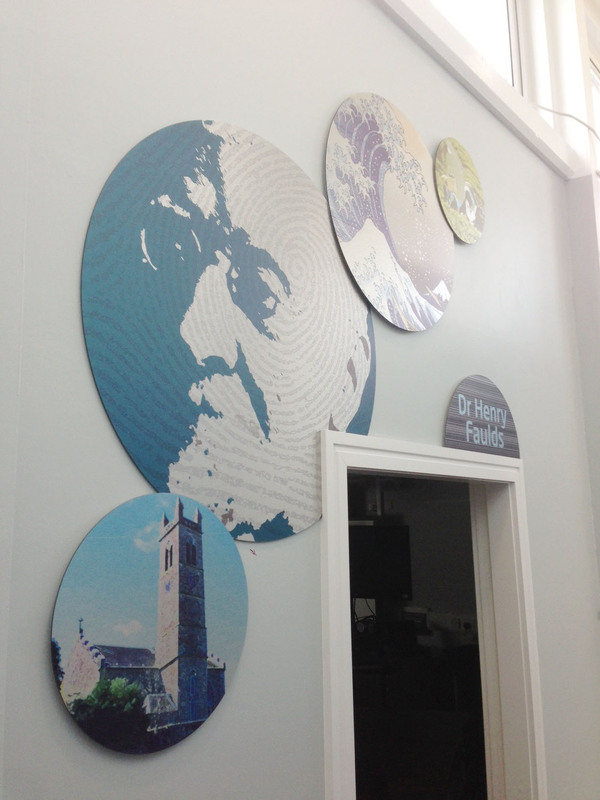 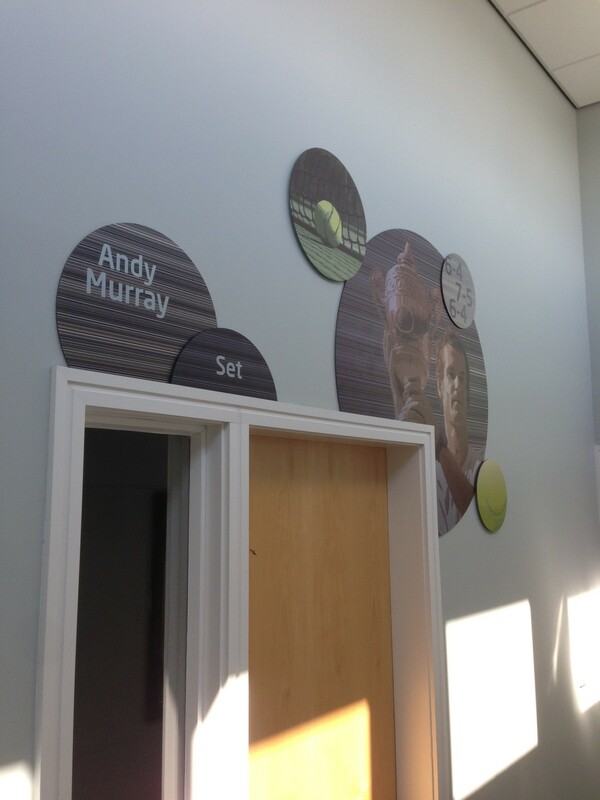 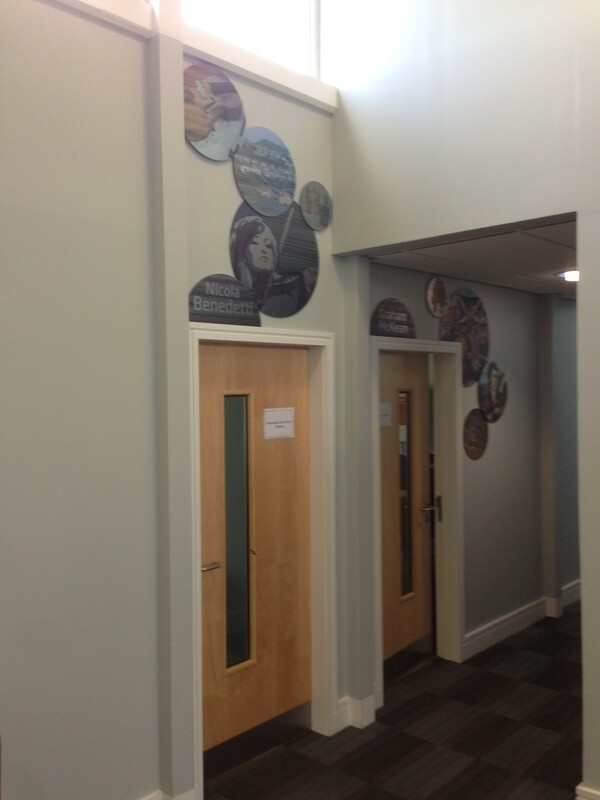 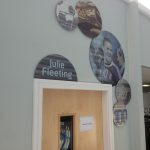 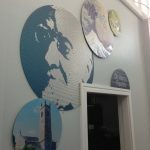 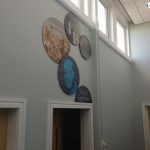 During the development and refurbishment of the councils training centre there was always a plan to ensure that the signage and additional decorative items were bespoke and creative to tie in with the themes of the learning centre. 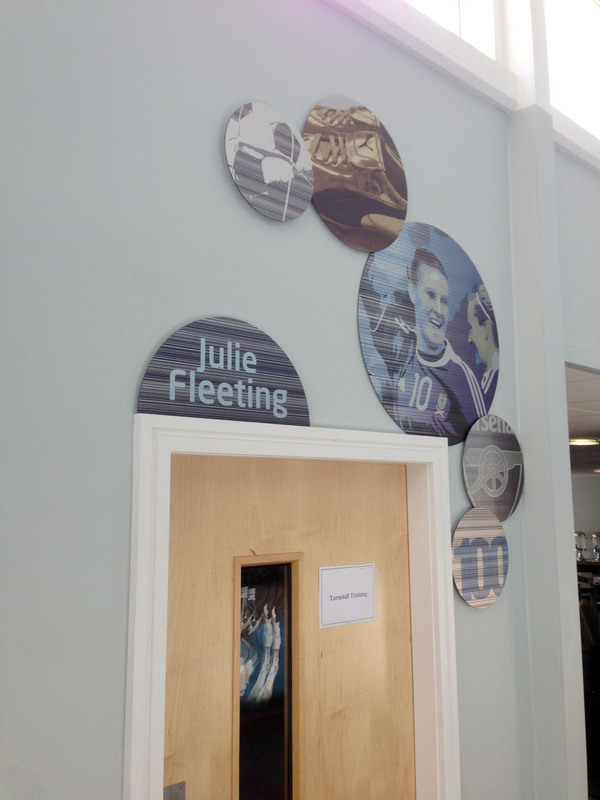 The different training rooms were to be named after Scots who were an inspiration. 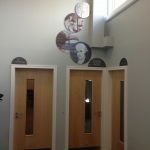 A debating competition was held in the local schools and each school adopted their own hero to champion. 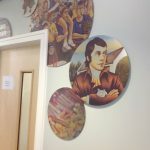 6274 worked with the children in the local schools to develop a series of graphic images that depicted the life and work of the different people. 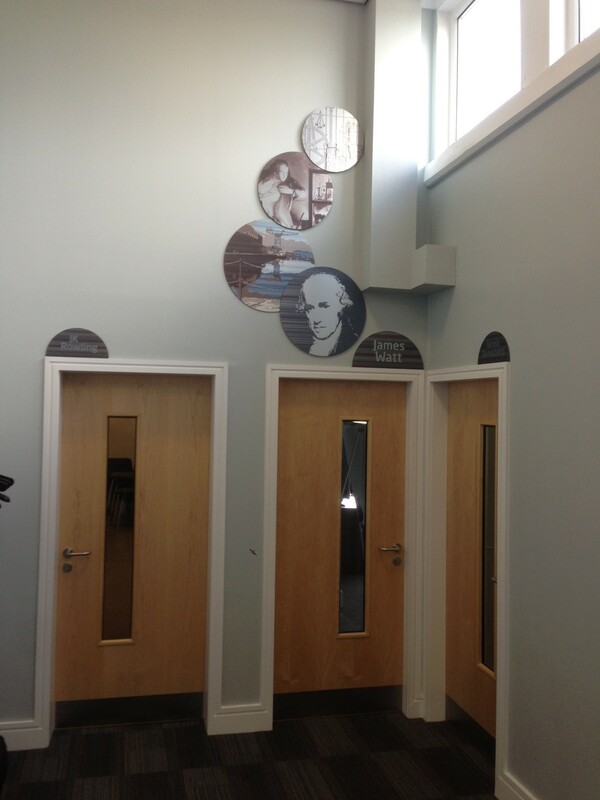 The end result was a series of plaques that surrounded the doors of the rooms and which give a stunning image to each of the entrances. 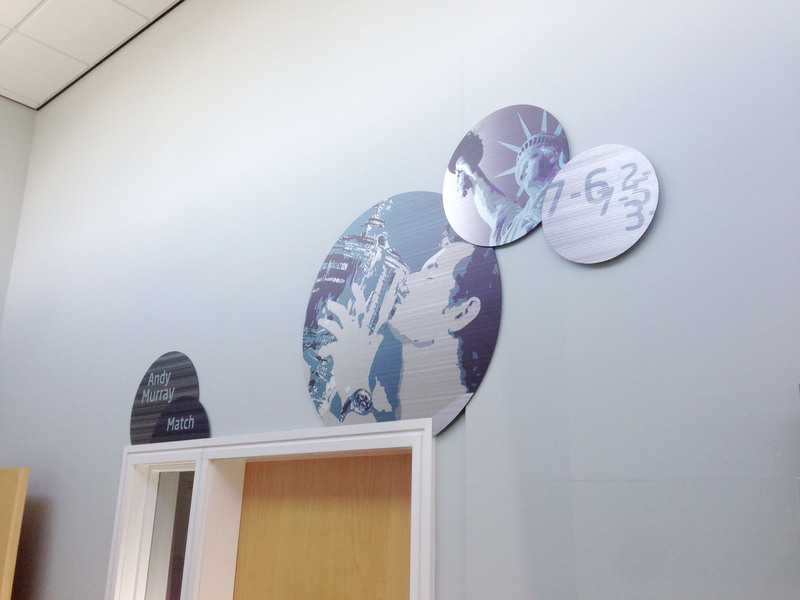 This was augmented by the creation of a bespoke piece of art work and clock for the reception area, matching signage for the different areas of the building and finishing touches of decoration on the windows all tied in together to give the final stunning overall look to the building. Again the challenges were many from carrying out the workshops to the final installation in a busy building, 6274 worked around each challenge and have delivered a beautiful series of pieces of art work dotted throughout the building. 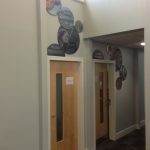 It has lifted the building from a corporate, clinical environment to place for creative thinking and inspiration learning.